St. Barts is another French island in the West Indies not to be missed during your luxury charter vacation with Sunreef Yachts Charter. This tropical island is very sophisticated boasting fashionable boutiques located in Gustavia, the island’s largest city. Savor local delicacies in numerous specialty restaurants and cafes. Just outside of Gustavia you will find a pristine shell beach rimmed with crushed seashells easily accessible with your luxury charter mega yacht or luxury charter catamaran. This bustling island prides on a vibrant nightlife with many bars such as Baz Bar and Yacht Club where DJs play fantastic music and bands give live performances. This is a true paradise of the French West Indies, a tropical and naturally elegant island filled with amicable tranquility and joyous ambiance. The small island of St. Barts is an utterly chic retreat not to be missed during your luxury charter vacation. A miniature airfield with a short landing strip demands great skill from pilots who are granted special permission to land in this terrestrial paradise. St. Barts is the ultimate tropical haven with palaces, chic boutiques and magnificent beaches all concentrated on only 21 km2, a land populated by a little less than 9 000 people. This islet is only a short sail away from Saint Martin, another French island, and BVI. The modern era begins for St. Barts in 1493 when Christopher Columbus points his telescope to the island and decides to name it after his brother, Bartholomeo. At the time the island is deserted. Indians shy away from it due to a lack of drinking and irrigation water as well as the presence of verdant yet unproductive bluffs. 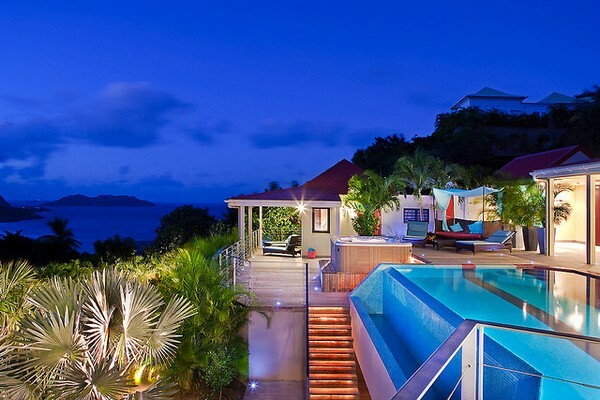 St. Barts is therefore a beauty with unfavorable conditions for settlement. It becomes populated in the 17th century with French peasants accompanied by Breton sailors who settle on the island and promptly involve in tobacco and indigo plantations. The group leader, Guillame d’Avranche, finds the island transparent and marvelously clear fragrant ofjade and mint and surrounded with intense royal blues. The poet rejoices although the beginning of the settlement is definitely not as idyllic. Expressing great kindness toward his friend, the king of Sweden looking for a safe harbor in the Caribbean, Louis XVI yields Saint Barthélemy to the Swedes. The island’s capital is therefore named Gustavia in honor of king Gustav and is declared a free port in 1785, a status remaining to this day. Throughout the ages sailors visiting the island enrich notably local commerce. St. Barts becomes well-reputed in Europe for its cotton as well as pineapple plantations. The prosperous years, however, are short-lived as the turn of the 18th century is marked with ravaging cyclones, many epidemics, a destructive fire in Gustavia as well as a decreasing interest in cotton. In 1878 the island is repurchased by the French and becomes the most recent addition to the French territory on the American continent. Gustavia, the island’s capital, is St. Barts’ most bustling city boasting quaint ancient houses, some of which are distinct with a noticeably Swedish architecture, facing the marina harboring the world’s most luxurious sailing yachts. A promenade on the quayside cannot be missed during your luxury charter vacation with Sunreef Yachts Charter. The marina is where celebrities anchor their luxury yachts during their stay in St. Barts. Spend your holiday in style aboard your luxury charter catamaran and be pampered every step of the way by your magnificent charter crew. Many chic boutiques scattered around Gustavia will satisfy all shopping enthusiasts. Live a fairytale in St. Barts with the local specialty restaurants and soak up fragrances of fresh flowers and tobacco. The Wall House Museum is located in a meticulously restored historic building dating back to the Swedish era. The museum flawlessly depicts the island’s past and acts as a testimony for future generations. Quaint charm is what best describes the ambiance created with oil lamps, traditional clothing, ornaments, tools as well as fishing boats and nets. The museum also plays an important role in a sociological and ethnographic dialogue. St. Barts is no less magical with heavenly coves and bays that you will be able to admire from aboard your luxury charter mega yacht or luxury charter catamaran. 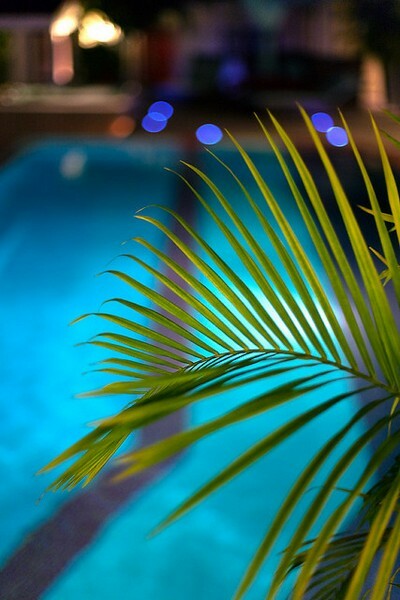 Baths in caressing crystal waters, diving, fishing and pure idleness will make your holiday a true bliss. The island is carpeted with elegant villas shaded from the sun by plush coconut palm trees and succulent and vibrant she-oaks. Luxury summer resorts are scattered across this minuscule island offering perfect holiday packages for the crème de la crème. In the afternoon locals and visitors gather around numerous cafés in Gustavia among friends and family, sipping on lush beverages and enjoying warm caresses of sunrays. A vast protected zone set by local authorities became a natural reserve, an area where swimming and diving are restricted and where it is forbidden to fish and collect shells as well as corals which results in an abundance of such species as parrotfish, barracuda and small sharks. Many shipwrecks are also inhabited by tropical fish creating excellent seascapes to view from aboard your luxury charter yacht. What makes St. Barts all the more unique is the langue spoken by locals. The island’s inhabitants speak, to this day, a French local dialect dating back to the 17th century. Tradition does end here, however. Many women still wear traditional lace headdresses, a garment popular more than a century ago. This is St. Barts, an unquestionable beauty adored by Parisians and New Yorkers, an utter definition of opulence and style. 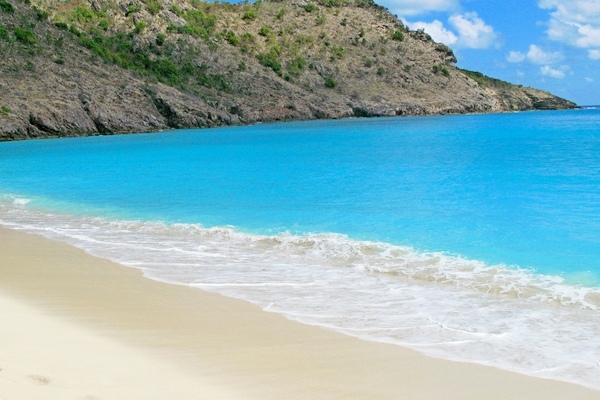 Do not miss the chance to visit this Caribbean paradise during your luxury charter vacationwith Sunreef Yachts Charter.